Isometric Exercise for Longevity is a great use of this training system and one that produces surprising results....did you know one Isometric Exercise enthusiast lived to be over 250 years old? Recently I wrote and article on one of the key benefits of Isometric training - longevity. You can read the full article here, and in it I give you examples of many martial artists that utilise isometrics and go on to live well into their late 90's and early 100's still physically and mentally strong and capable. 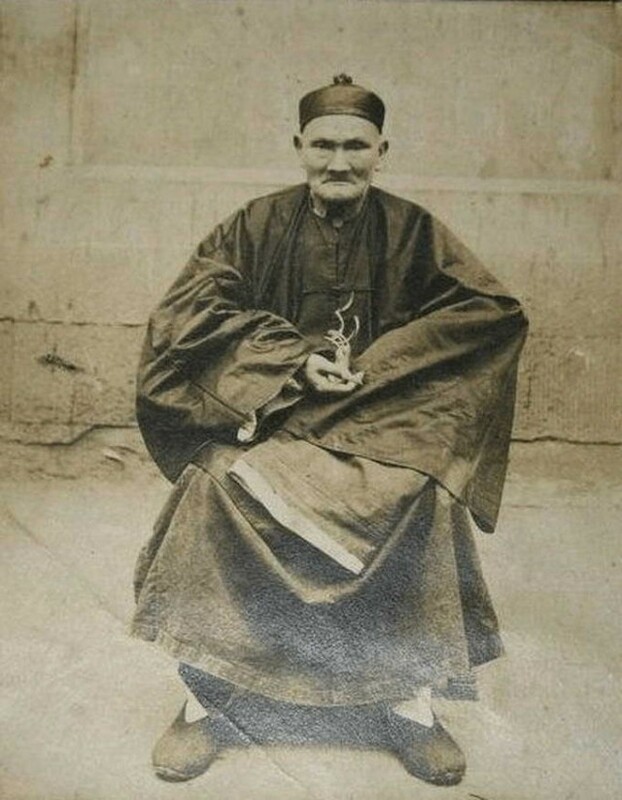 In this article I want to explore that concept in a little more detail and give you a more extreme example...I want to share with you the story of Li Ching-Yuen (李清雲) and man who performed Isometrics, credited them with his longevity and live to be over 250 years old. Li Ching-Yuen was born in China in 1677 according to the official state records, though Li himself claims he was only born in 1736. He would eventually die on May 6th 1933 reputedly having told his descendants and students that he had completed the tasks of this life and could return home. During his life time, Li worked as a Traditional Chinese Herbalist, martial artist and tactical advisor to the Chinese Military....and it is thanks in part to that last aspect we have the details of his life. Prior to his involvement as military advisor Li Ching-Yuen spent most of his time in the mountains, foraging for herbs for both himself and to sell to his patients and customers, where he no doubt would have kept to himself and continued on his path. However, when rumours reached the military complex that there was a man in the mountains who was both very old (he'd been there for over 100 years at this stage) and remarkably vital, General Yang Sen invited him to teach the martial arts and the secrets of long life and vitality to Chinese soldiers. "He has good eyesight and a brisk stride; Li stands seven feet tall, has very long fingernails, and a ruddy complexion"
Li Ching-Yuen went on to reputedly have 23 wives during his long life and sired and raised over 200 children. And I know what you may be thinking...this is perhaps simply propaganda....yet both the New York Times and Time Magazine along with many other publications investigated and reported on his life. In fact, according to a 1930's article in the New York Times, Wu Chung-chieh, a professor of the Chengdu University, discovered Imperial Chinese government records from 1827 congratulating Li Ching-Yuen on his 150th birthday. He also found later other documents later congratulating Li Ching-Yuen on his 200th birthday in 1877. An earlier New York Times article, published in 1928 wrote that many of the old men in Li's neighbourhood asserted that their grandfathers knew him when they were boys, and that he at that time was a grown man. So what was the secret of this incredible man...how did he live that long? According to one of his disciples, Da Li, a master of Taijiquan (Tai Chi) used Isometric Exercise for Longevity. He said that according to Master Li himself, at the age of 130 years old he meet an old mountain hermit possessed of great vitality and strength who was apparently over 500 years old! This man, taught Li Ching-Yuen a special set of exercises.... a series of movements known as Baguazhang, part of Wu Dang school of martial arts. These exercises contained a heavy isometric training component. He would move to a particular position and then brace and hold the muscles using powerful isometric breathing and contractions before moving to the next position. "...due to the fact that I performed the exercises every day – regularly, correctly, and with sincerity – for 120 years"
This - outside of my incredible physical strength, my ability to resist illness, recover from devastating injury with remarkable speed, awesome energy levels and lean muscular physique...this is why I train in Isometrics every single day - they provide greater health benefits than any other form of training and are the key component common to both martial artists and herbalists that lead long, productive, illness free lives. But of course, I don't rely on Isometric Exercise for Longevity alone. Isometric training strengthens my body and my mind. I fuel my body by eating a nutritious diet, minimising stress, meditating and taking my herbs. ..." Retain a calm heart, sit like a turtle, walk swiftly like a pigeon, and sleep like a dog". You've been reading Isometric Exercise for Longevity, check out more Isometrics and Martial Arts info here.